Tkumah SADEEK I Will Be There vinyl at Juno Records. 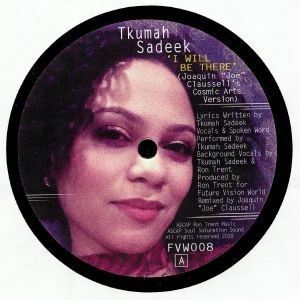 Ron Trent on the dials, Tkumah Sadeek on the golden tones; the dynamic soulful duo return to our boxes with the long awaited Joe Claussell remix of 2014's "I Will Be There". Free spirited and as musically lavish as you'd expect him to be; all the action is on the keys as he takes us to every cosmic corner of the dancefloor. 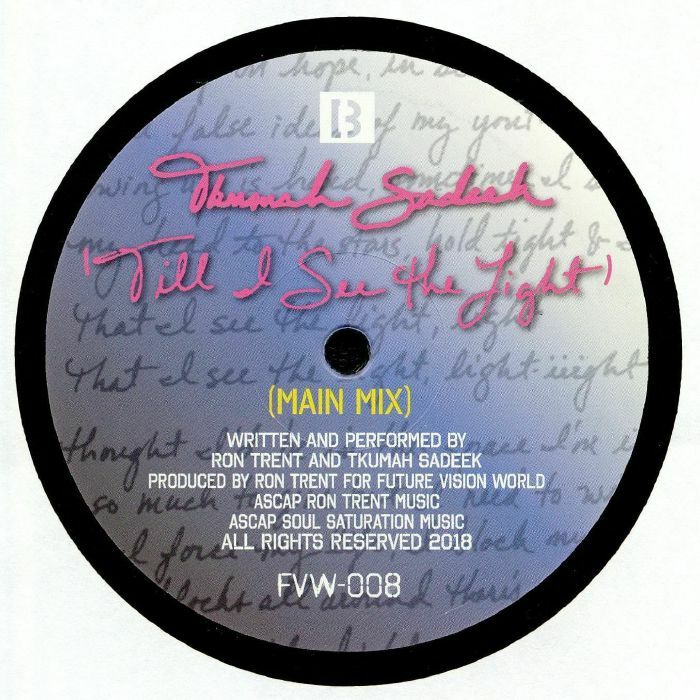 Flip to the B for more bliss as Ron and Tkumah deliver a brand new one; the soft footed dreamy "Till I See The Light". Precision sunrise tune with Sadeek at her silkiest, it's another timeless piece of work courtesy of Ron's Future Vision.